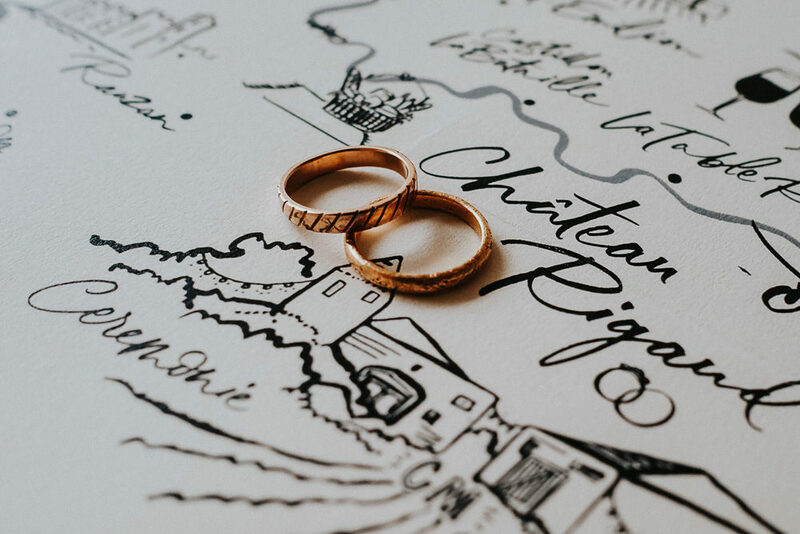 I think it’s safe to say, the entire RMW team has a huge girl crush on today’s creative and entrepreneurial bride Chiara Perano, the stylish spark behind Lamplighter London, the original modern calligraphy studio. 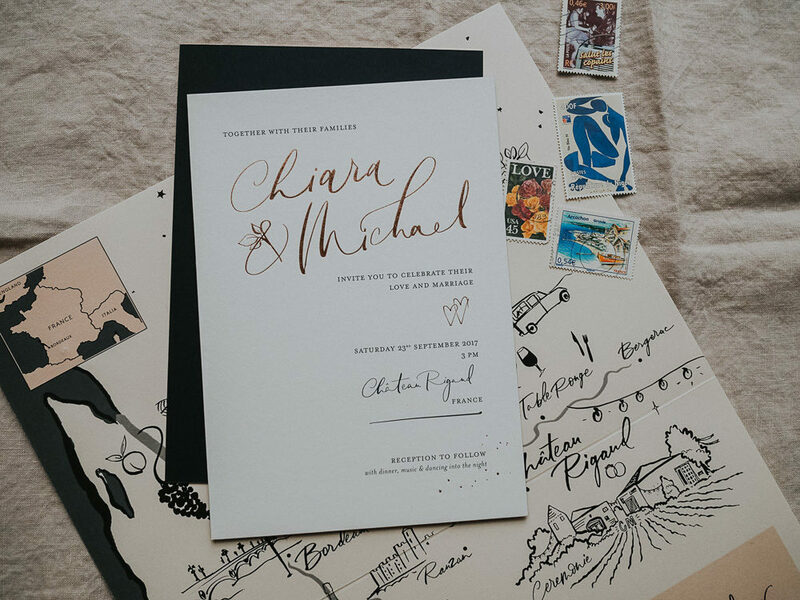 Chiara was handwriting envelopes and illustrating invites while the rest of the country was still selecting their lilac-butterfly-embossed stationery from that awful book in WHSmith. 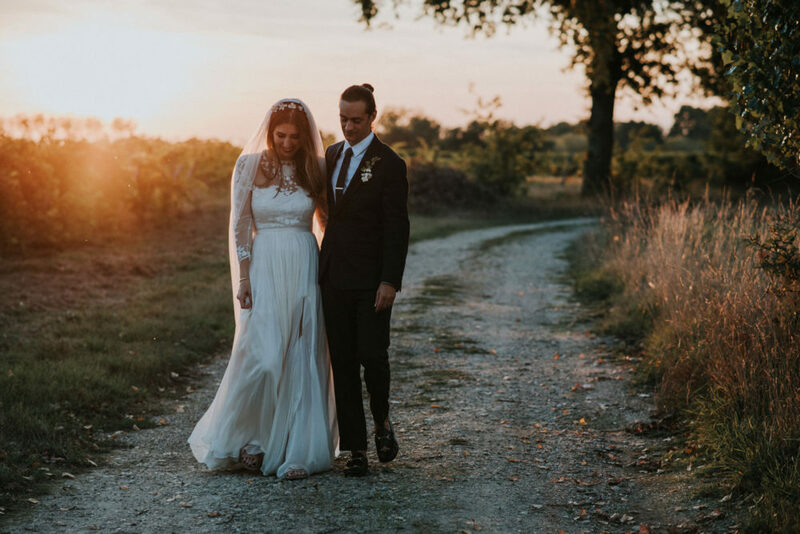 Chiara really has paved the way for many other design studios, and it’s a real honour to be sharing her wedding with you all today. 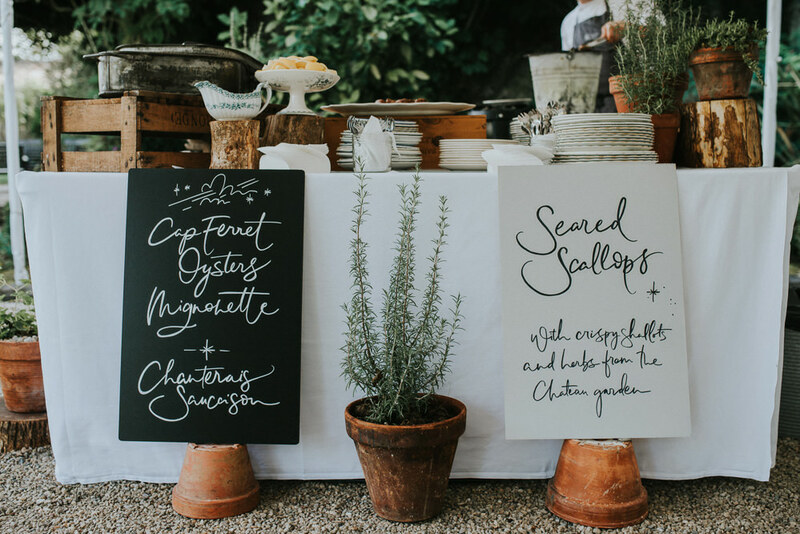 If you don’t recognise Lamplighter London, then it’s highly likely you’ll know Chiara’s book, Nib and Ink, the ultimate guide to modern calligraphy. 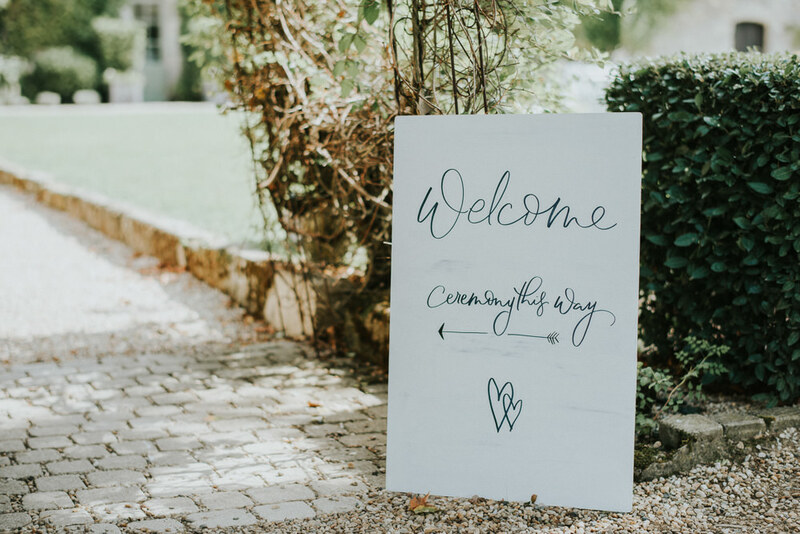 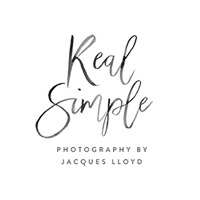 And if you’re new to the wedding world and today is your first introduction to this fabulous lady, then prepare to be amazed by the gorgeous stationery and signage for her and Michael’s dreamy Bordeaux wedding. 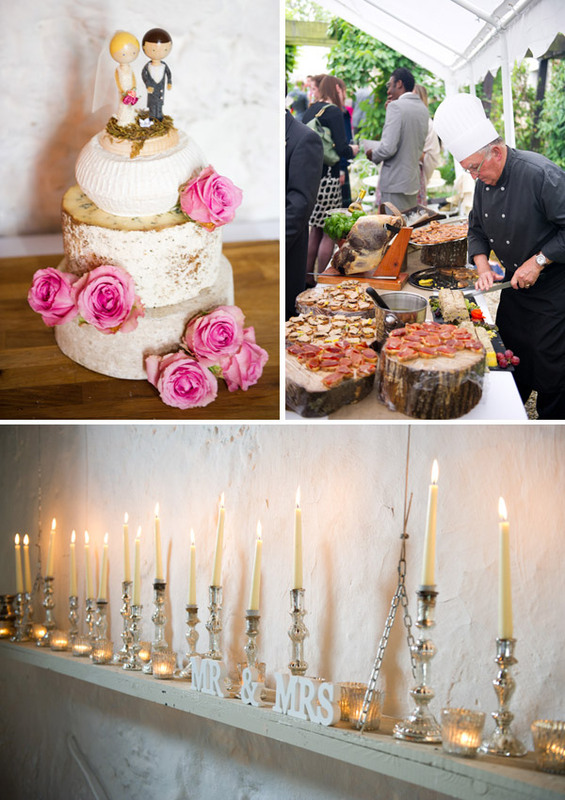 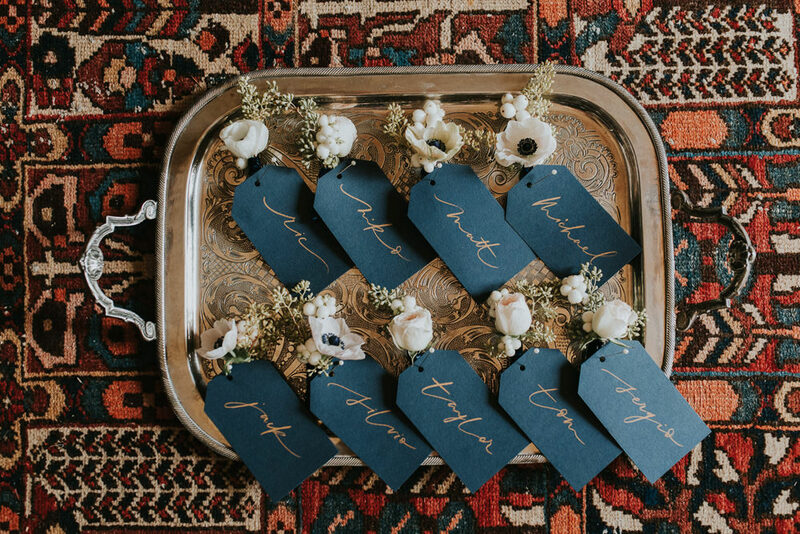 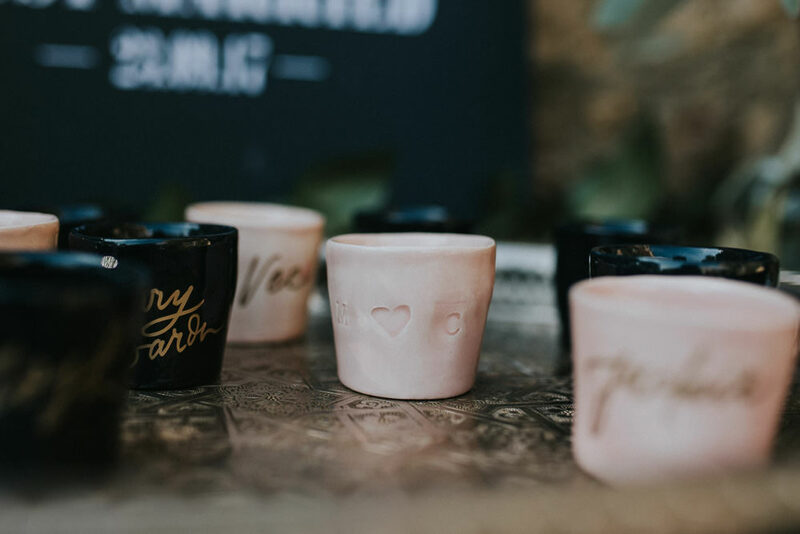 Every last detail has been expertly captured by RMW favourites, Fern Edwards Photography and This Modern Revelry. 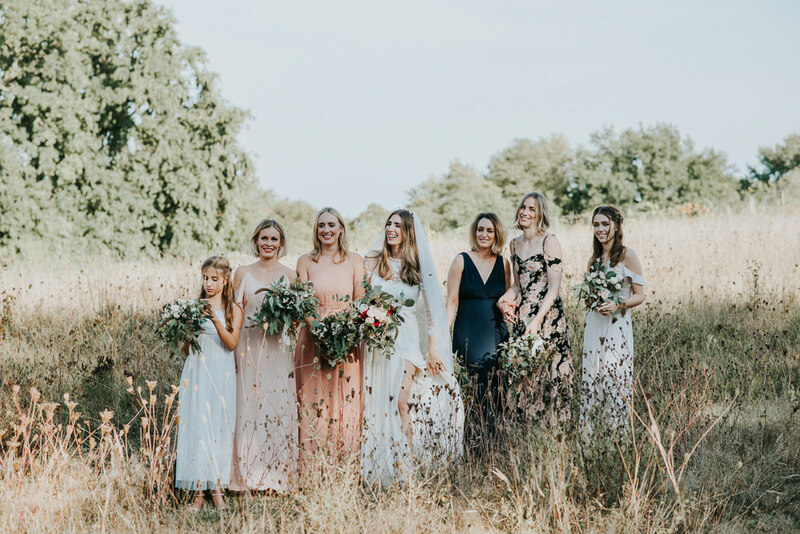 The flowers by the incredible Kitten Grayson will have you swooning, and look out for the gorgeous custom Rewritten bridesmaids dresses too. 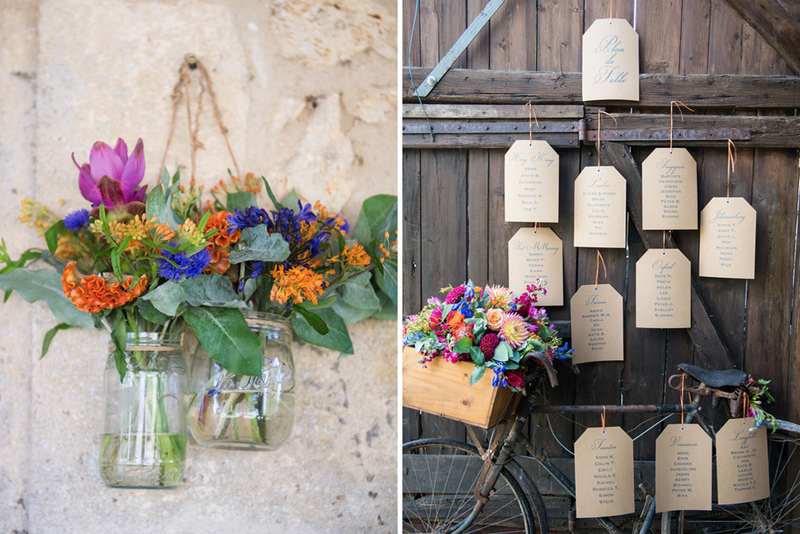 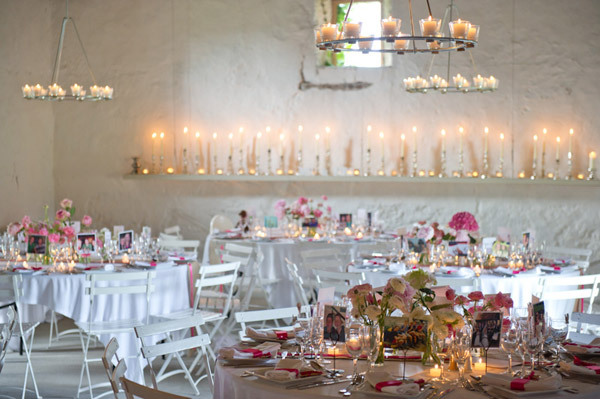 This is a wedding with endless inspiration…I’ve literally died and gone to bridal heaven. 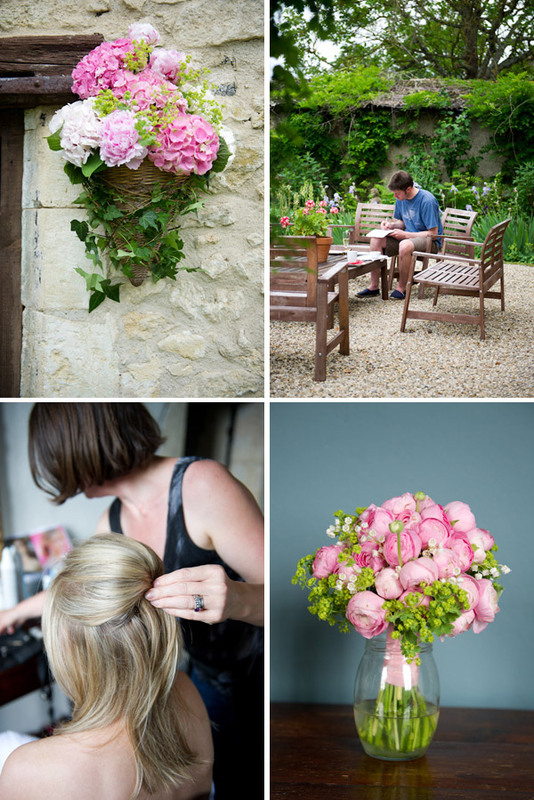 Enjoy lovelies, I have a feeling you’ll like it too! 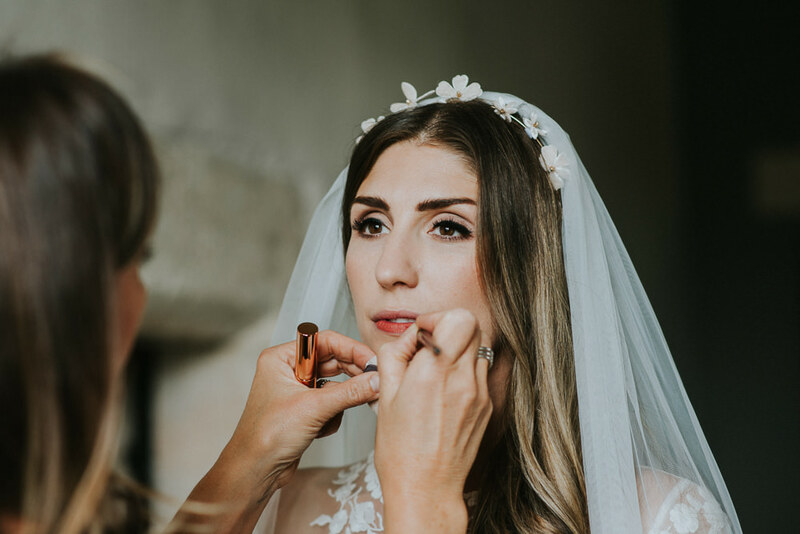 Our gorgeous bride today wears not one, but two beautiful gowns from Phase Eight, but being a wedding dress designer for the brand I could imagine she wanted to wear them all. 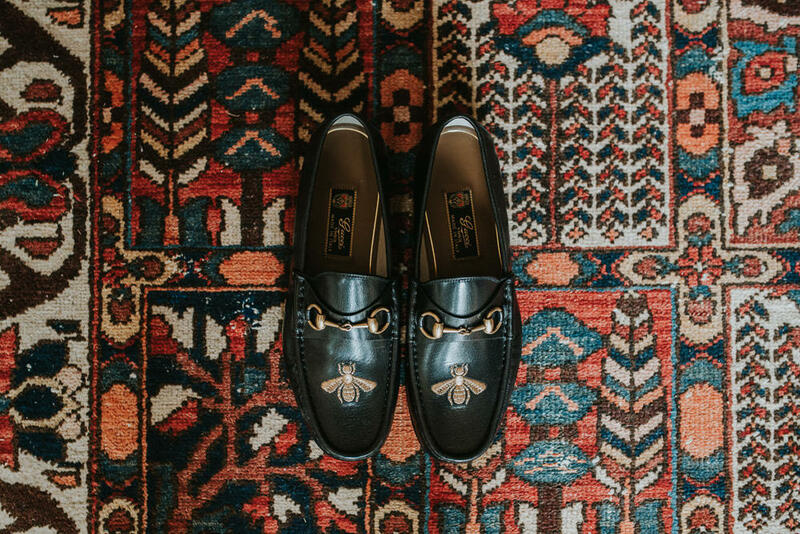 I know I would have! 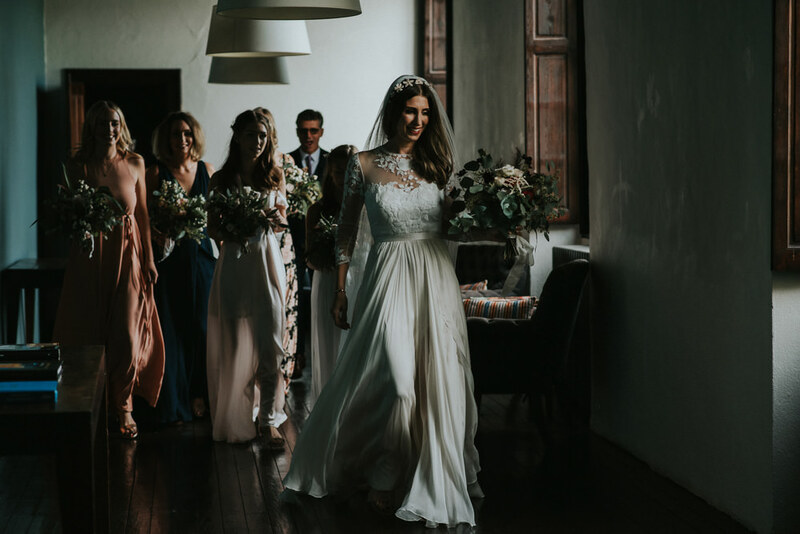 The low back & beaded bodice of her ceremony gown is exquisite and the multi straps on her evening gown is the perfect detail to get the party started. 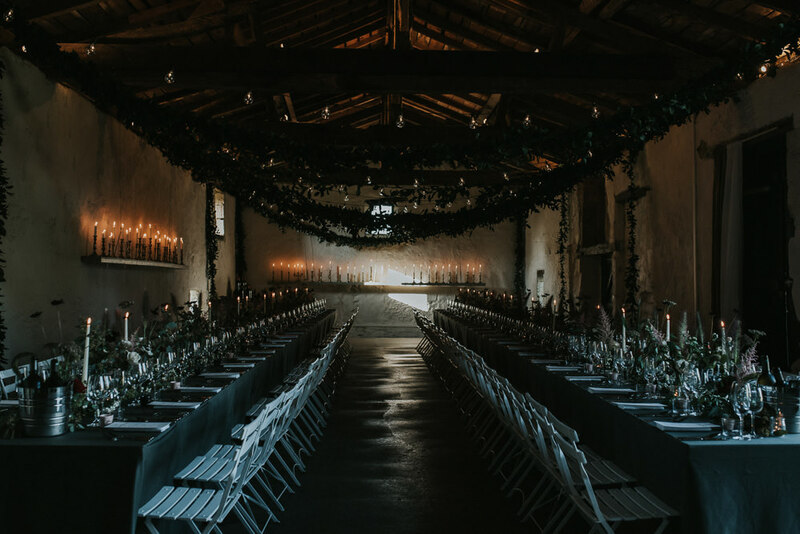 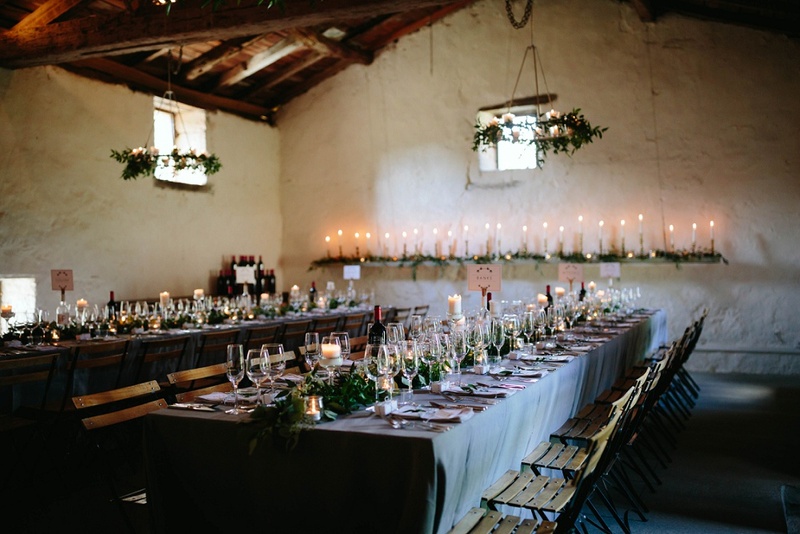 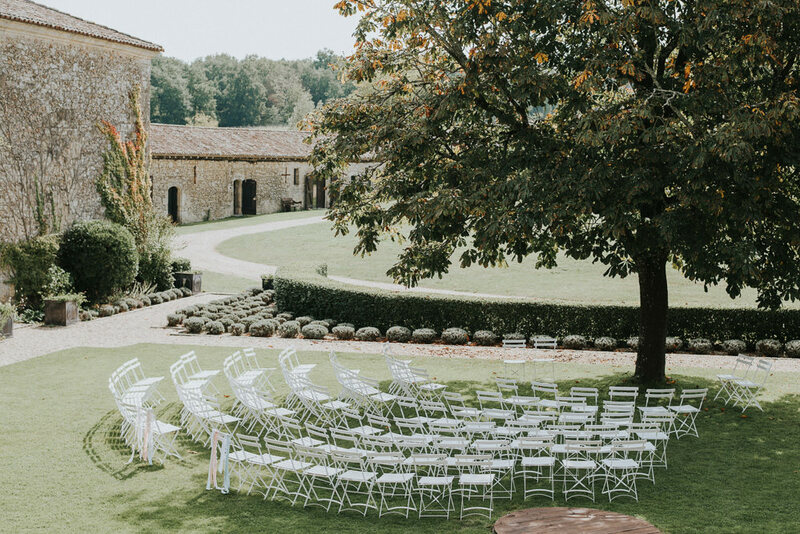 The location for all this style is the beautiful Chateau Riguard in Bordeaux, France which has the perfect mix of elegance and rustic charm with it’s greenery and candle light decor. 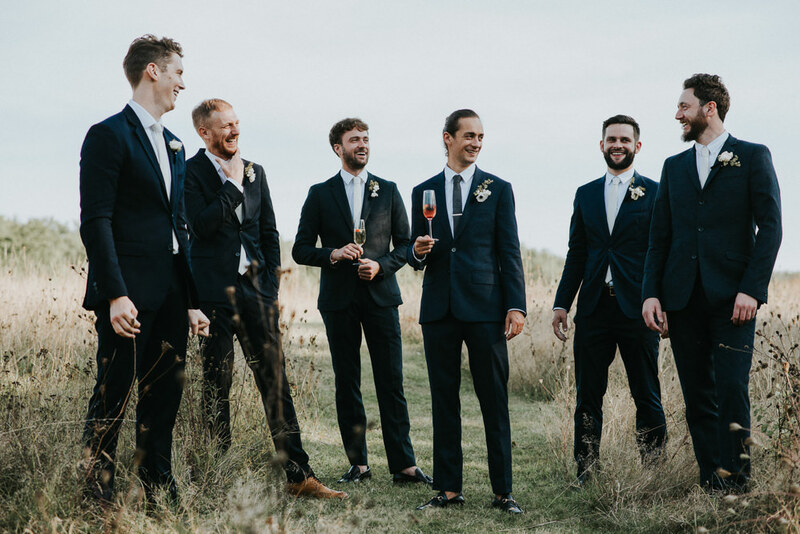 I love that groom Phil stays true to his origins too, opting for a tartan kilt in his clans cloth. 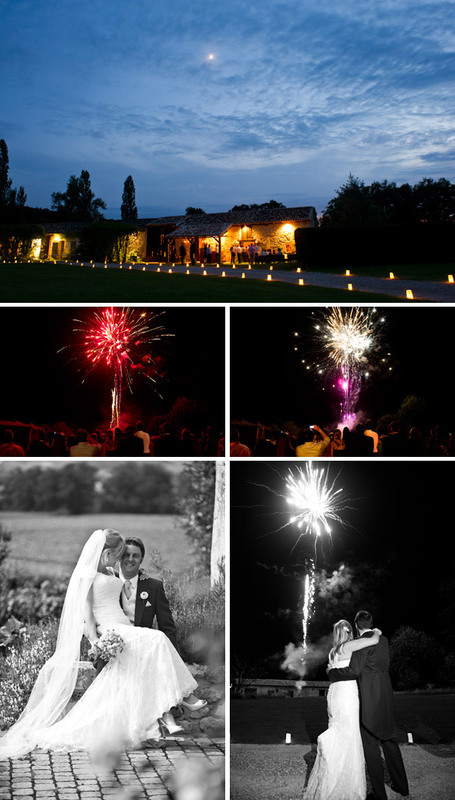 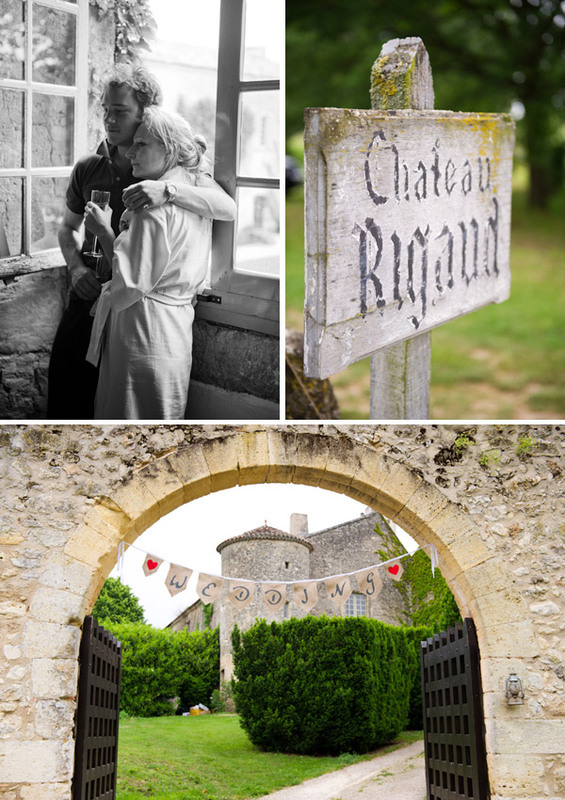 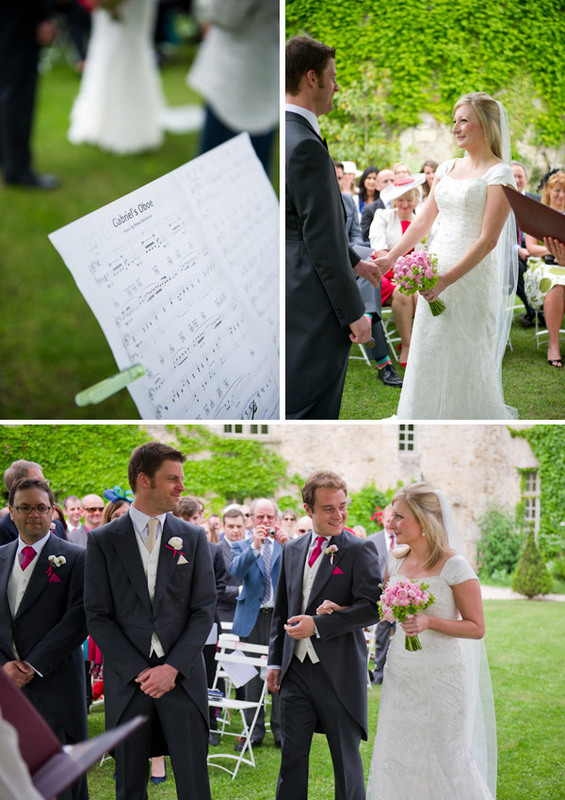 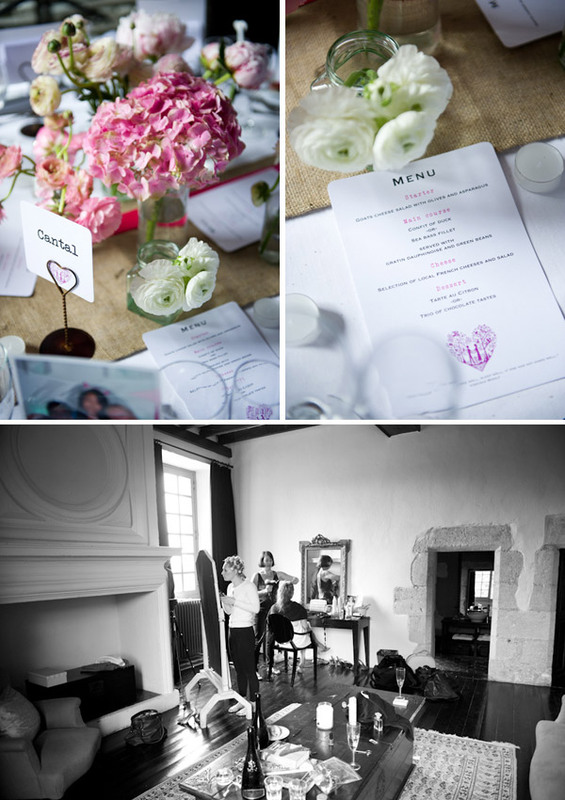 Brighton-based Anna and Will got married at the green and rustic Chateau Rigaud in South West France. 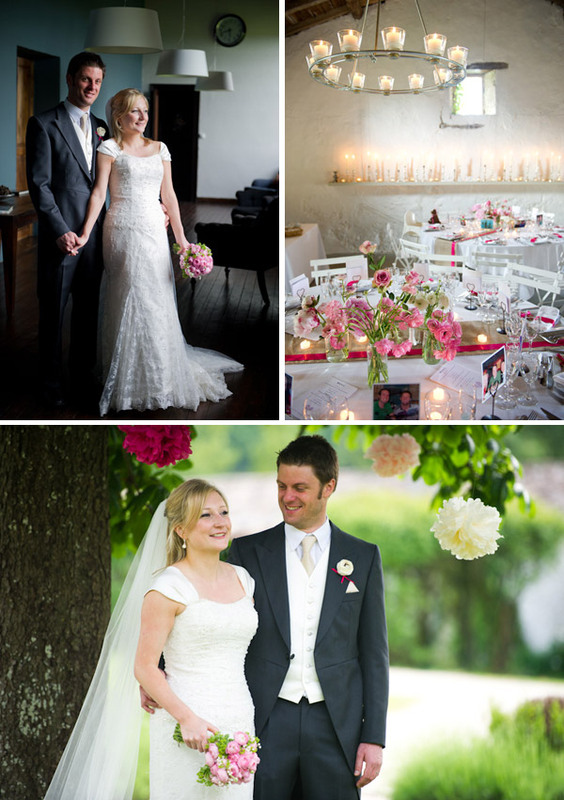 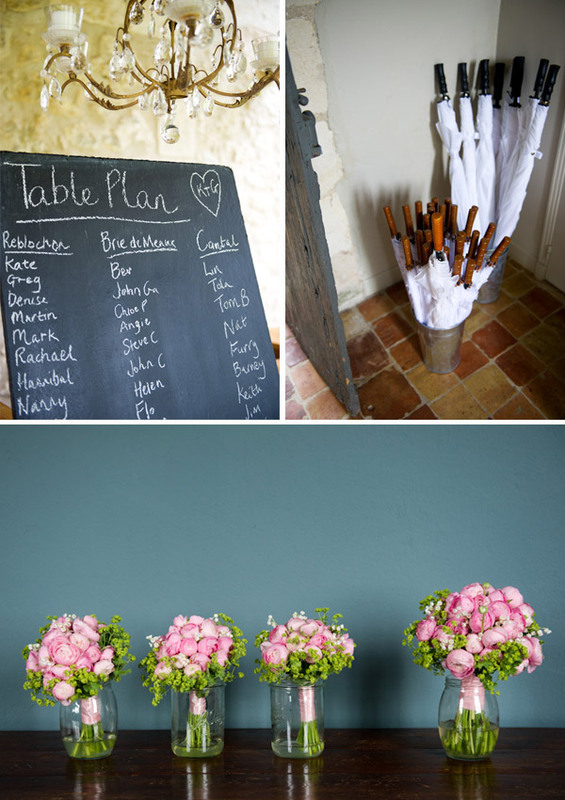 It looks like the perfect intimate and relaxed wedding, steeped in personal touches and beautiful blooms. 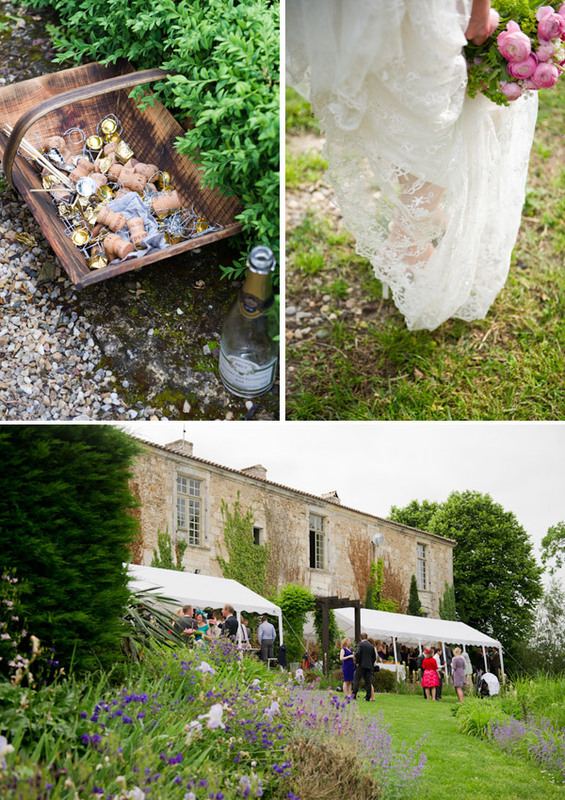 Not to mention the picturesque surroundings and all the excellent French cuisine that was on offer. 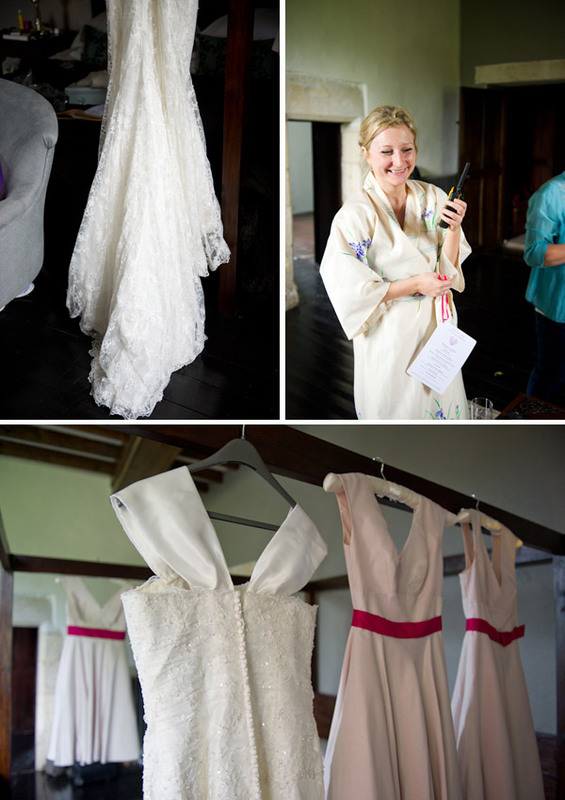 I love the off shoulder detail on the bridesmaids midnight blue dresses, and Anna’s incredibly sassy split she incorporated into the tulle skirt of her custom made wedding dress. 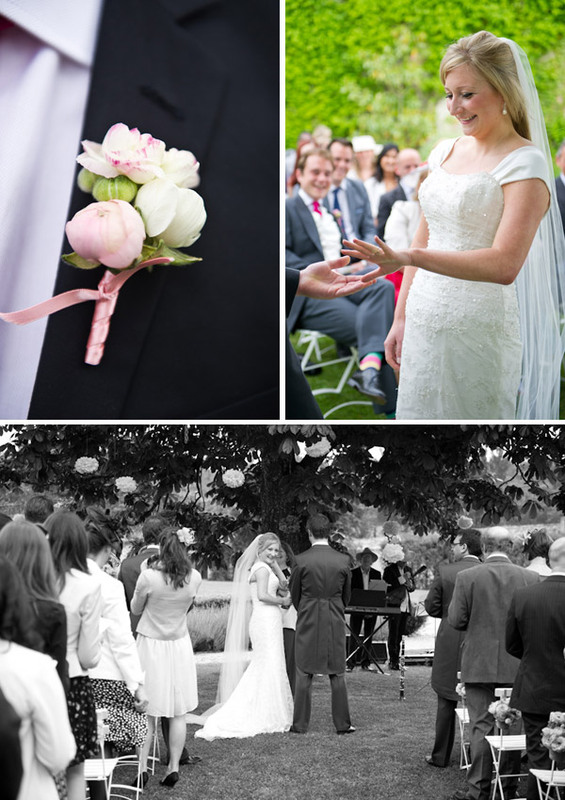 Finishing off their outfits perfectly with oversized bouquets full of delicious peach florals and coral peonies. 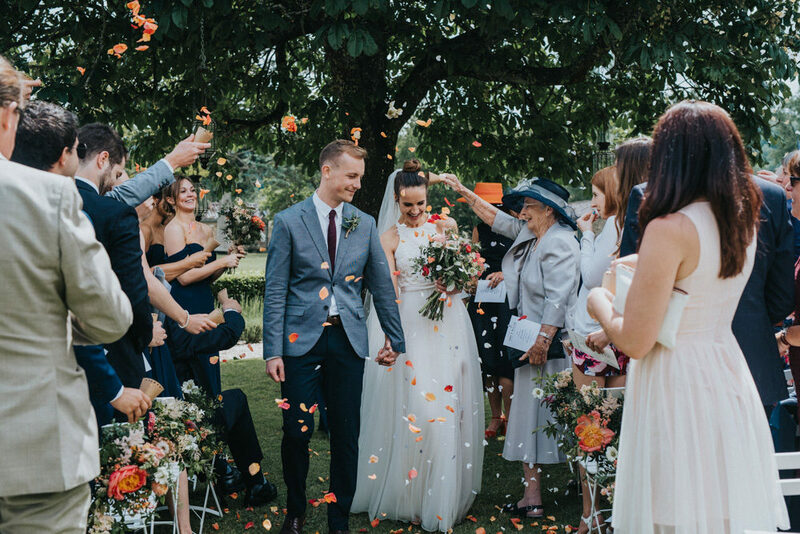 Everything just oozes elegance, captured beautifully by Fern Edwards Photography and culminating in a heaving dance floor and delicious looking croquembouche wedding cake. Well isn’t this just gorgeous?! 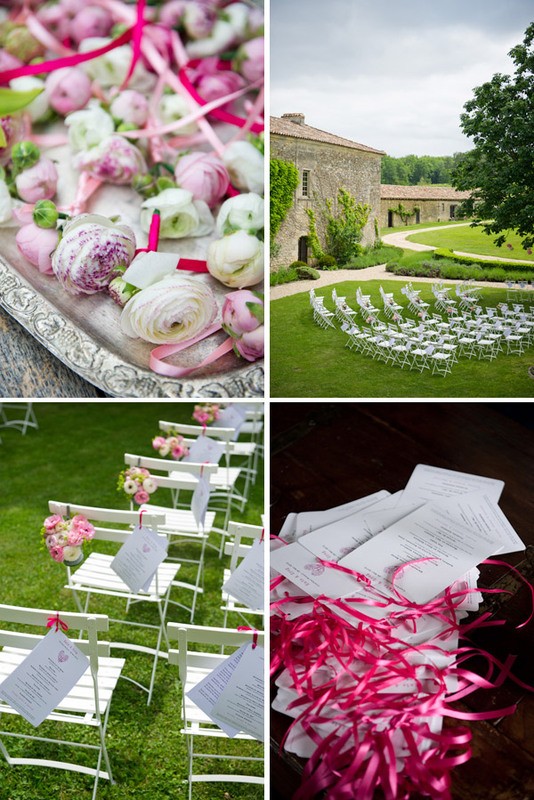 Chateau Rigaud is such a dreamy location for a wedding and we love that Claire & Hugh have filled the place with colour! 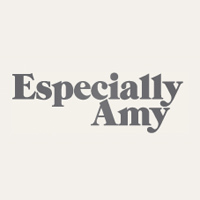 It brings such joy to the images from Especially Amy. 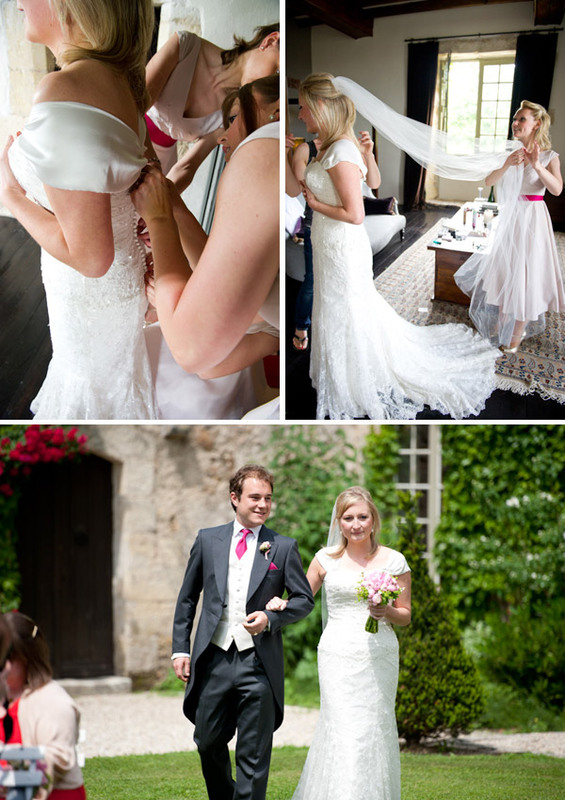 Claire looks stunning in a dress designed for her by her Maid of Honour and then brought to life by bespoke dress maker Catharina at My Eden. 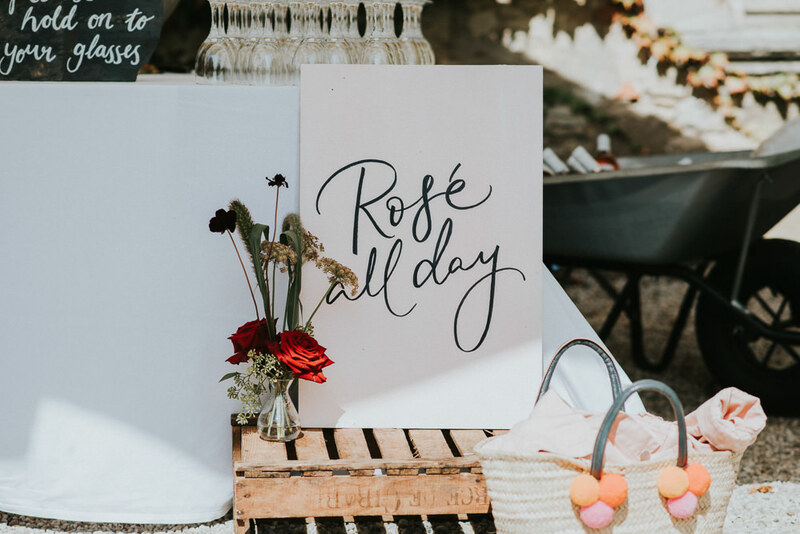 The whole day looks like an absolute riot, from getting ready and drinking champagne, to impromptu songs and amazing first dances – the whole wedding is just bursting with happiness and colourful rustic details.